It’s that time of year again. When lights are strung and trees are trimmed and everyone’s busy shopping for that perfect gift. In the past, I’ve touched on such classics as A Miracle on 34th Street and It’s a Wonderful Life. This year, I’ve decided to venture into the world of technical and focus on a more modern Christmas Tale – Elf. At first, you might not find any workplace lessons in the story of Buddy (Will Ferrell) an orphan raised by Santa’s elves, who as an adult goes to Manhattan in search of his real father. But for someone like me, who can find meaning in one of those Scooby Doo episodes featuring the Harlem Globetrotters, it’s easy if you try. Buddy, being human, is not very good at doing the main job of a Santa’s elf, namely, making toys. This irritates some of the Type-A elves who are all about production. They need to get their pointed shoes out fo their butts. Buddy is fun to have around. I once had a department manager working for me who wasn’t organized and rarely got anything done on time. He was, however, one of the most interesting people I ever worked with. He was smart, and could talk at length on almost any subject. He was also funny and had a great laugh. He had a great attitude. The only day I recall him missing work was the day he got a fish-hook stuck in his forehead (which is a story for another time). I was happy to pick up his slack just to have him around. He was my Buddy. When Buddy laments that he is no good at making toys, his elf supervisor tells him it’s okay, that he’s good at a lot of other things. This makes Buddy feel better until he overhears the supervisor and another elf talking about how bad buddy was at his job. Jerk. He probably thought he was being kind. Truth is, he looks down on Buddy because he is no good at making toys. He forgets that Buddy has been learning how to repair Santa’s jet propelled sleigh from his adoptive elf-father. What’s more important, being able to make a few Etch-a-Sketches, or being able to maintain the machine that will get them under the tree on Christmas Eve? Buddy’s biological father (James Caan), is a children’s book publisher. While this job might fall well into the narrative, it is probably the last job this man should be doing. I’ve known a few people who work in children’s publishing, and every single one of them loves kids and cares deeply about the literature they put in those kids’ hands. Not only does this man not seem to like children, he doesn’t even care about doing a good job, printing a book with pages missing and even signing off on it. His other son tells Buddy he is only interested in making money. If that’s the case, he’s in the wrong business as well. Better off being an investment banker or a corporate lawyer. Part of the plot revolves around Buddy’s father having to come up with a new children’s book idea on Christmas Eve. Forget the fact that this is not how most books get published. Christmas Eve? No one besides retailers do anything productive on Christmas Eve, if they work at all. Yet, here he is having a meeting with the Board (also not how it works) on an evening most people should be spending time with their families. Except as a plot device, there is no reason to set a deadline for Christmas Eve. The book, if accepted, won’t get out any sooner than if the deadline was January 2, and even if it did, it wouldn’t be published for several months, when the high point is of course, the next Christmas, so they have plenty of time. The only reason this seems to be a deadline at all is because his boss made it one, which, unfortunately, happens all the time in the real world. 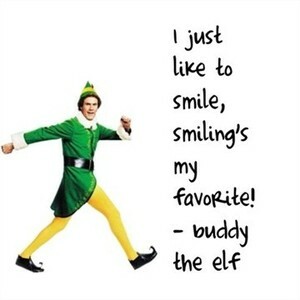 This entry was posted in It's a Mad, Mad, Mad, Mad Worplace, What's New and tagged Buddy, Elf, Workplace Lessons.